On April 19th, 1956 construction began on the main branch of the Vancouver Public Library. 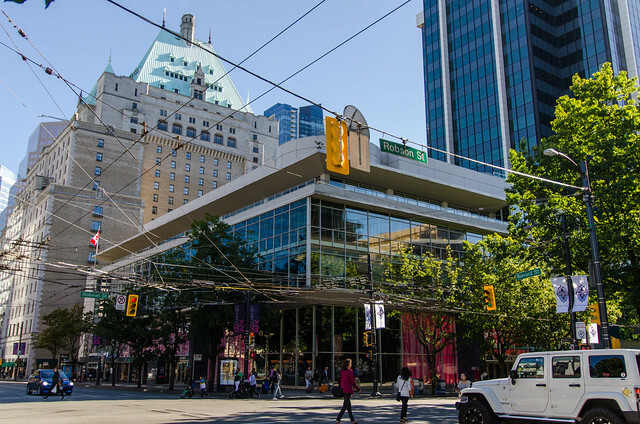 Today there’s a heritage marker on the building, that sits at the northeast corner of Robson and Burrard, next to the window displays full of lingerie and the latest PINK products at Victoria’s Secret. 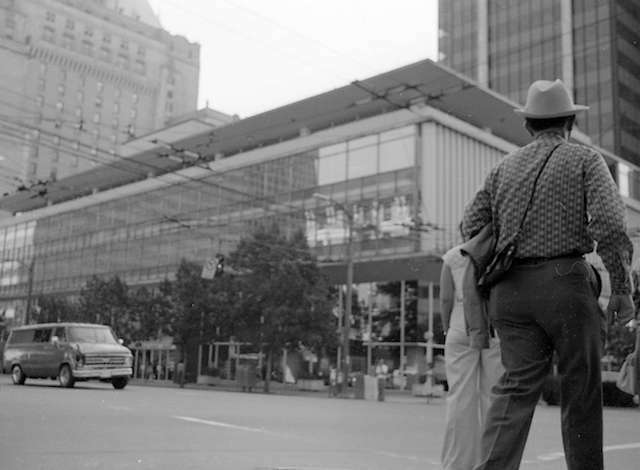 A Vancouver Sun editorial called the city’s continued “stalling” on the library site “ridiculous.” In September 1954, the city decided to give up on the idea of a new Downtown hotel and to proceed with the library on the Robson and Burrard site. 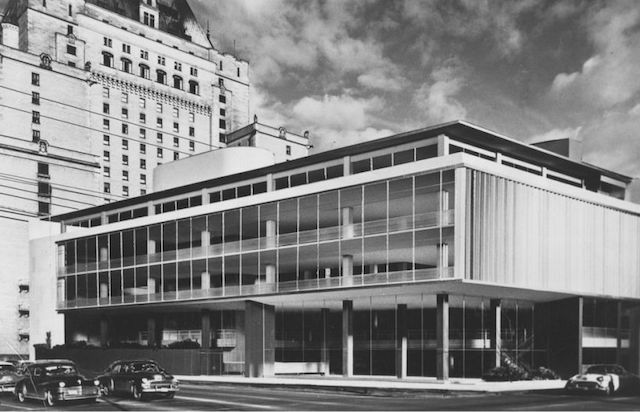 1952: The City of Vancouver purchased the property at 750 Burrard. 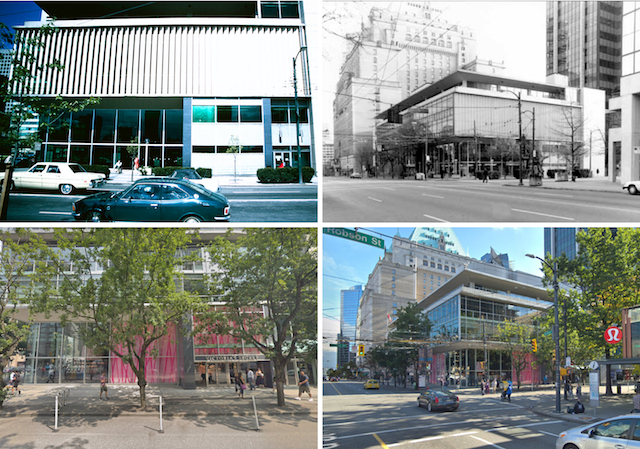 Top Left: 1974 – Vancouver Archives #CVA 778-315. Top Right: (No Date) VPL #85972 Photographer Harold Kalman. Bottom Left & Right: Google Maps. August 1988: A water main broke and flooded a wide area of the branch. It forced a one-day closure, badly damaged many books (some rare), and ruined a big collection of newspapers. 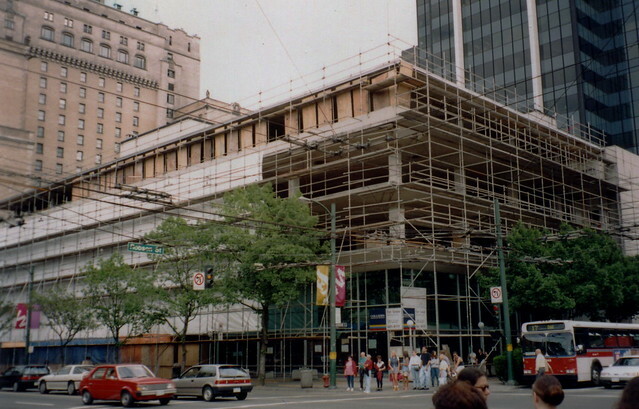 1995: The Main Branch moved to the Vancouver Public Library’s Central Branch we have today at 350 West Georgia Street. 1996: A multi-level Virgin Megastore moved in and Planet Hollywood restaurant was upstairs from 1997 to 1999. 2005: HMV took over the Virgin Megastore space until 2012. 2013: Victoria’s Secret opened in May of 2013. A Shoppers Drug Mart is also currently at street level. 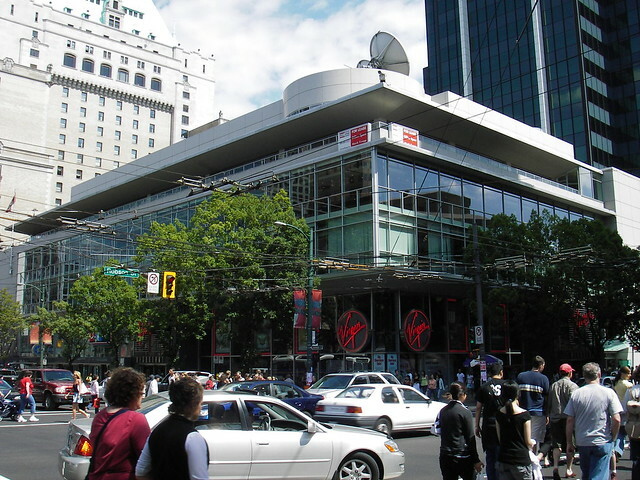 Vancouver Television (VTV) also occupied several floors from 1997 to 2001 before CTV Globemedia took over the space. 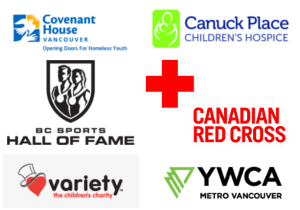 Floors 4-6 are currently occupied by Bell Media (CTV Vancouver and radio stations QMFM, TSN Radio, BNN Bloomberg, and Virgin Radio Vancouver), above Victoria’s Secret. The radio stations moved in with the company’s television station in 2013. 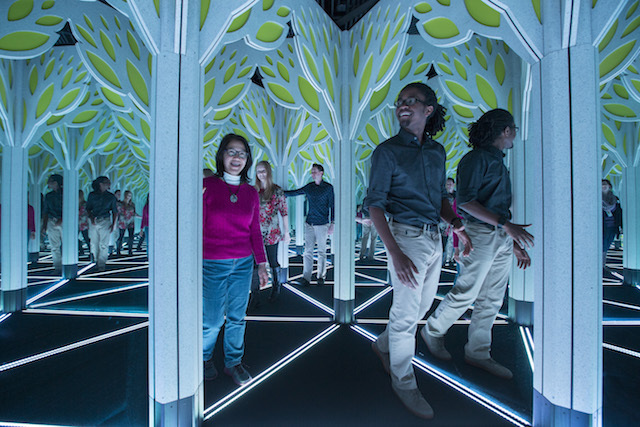 The 9th annual Verses Festival of Words (April 25 to May 4, 2019) celebrates the transformative power of words – written, spoken or sung. As Canada’s largest alternative literary festival, Verses is one of the most diverse and exciting literary events of the season. Tickets: Verses Festival Passes are available online now for $75 and include access to 30+ Verses Festival of Words spoken word events. Passes can be picked up at any festival event. 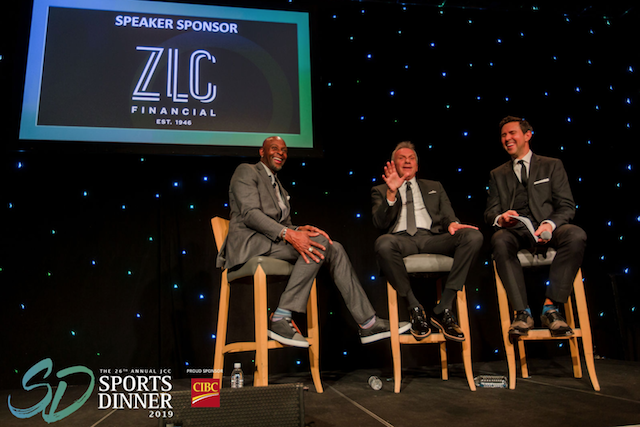 Individual event tickets are available at the door. This year’s line-up is filled with ground-breaking artists who encapsulate the vibrant future of Canadian culture. 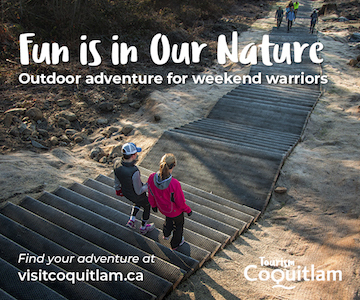 Featured events include the Canadian Individual Poetry Slam championship (“CIPS”) and Hullaballoo: BC’s Youth Spoken Word Festival. “Cultivate: Artist Support Circles for Indigi- and other Queers” springs from Shane Sable’s attempt to disrupt art-in-isolation mythologies. The talking circles meet monthly at the Queer Art Festival’s SUM Gallery to connect, collaborate, and offer support to queer artists across disciplines. This showcase spotlights Cultivate artists Shane Sable, Tawahum, Raven John & Laura Fukumoto. Artists: Vivek Shraya, Christie Lee Charles, Tawahum & Youth All Stars A showcase of resistance, resilience and empowerment – and the Vancouver launch of Vivek Shraya and Ness Lee’s new book! Death Threat perfectly expresses the feeling of being exposed to the hurtful and threatening presumptions of strangers, transforming a hideous and constrictive mindset into beauty and love. 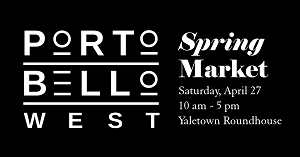 Features performances from Vancouver Poet Laureate Christie Lee Charles and local favorite Tawahum, as well as highlighting the emerging power of local youth artists. A display of some of the best local veteran and emerging slam poets! 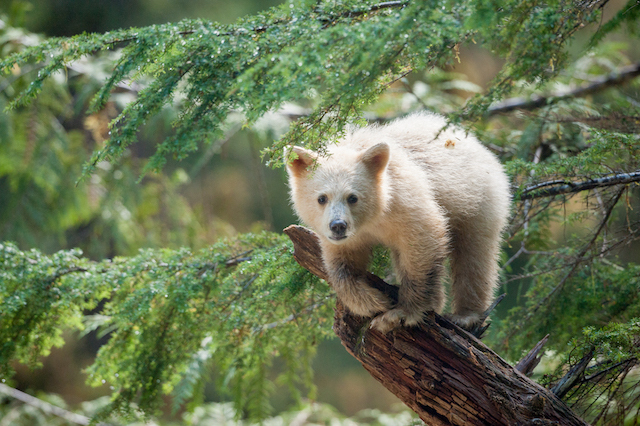 Members of the newly minted 2019 Vancouver Poetry Slam and Youth Slam teams showcase the work that pushed them to the top. A whirlwind of words occurs as Emily Crocker, Brandon Wint, Chelsea D.E. Johnson & a mystery guest perform acrobatic feats of wordsmithery and music. A round robin format allows the artists to respond to one another in a spontaneous way. See artists performing in a relaxed, informal, yet electric atmosphere where anything can happen. Canada’s best slam poets show us their strongest 4- and 1-minute poems in a competition destined to crown 2019’s national slam champion. Guided by two qualified facilitators, this community dialogue asks artists, organizers and audiences to participate in anti-oppression dialogue around the topic of “Decolonizing the Arts.” Come prepared with questions, thoughts and a respectful voice. Follow #VSfestival19 on Facebook and Twitter for more info. 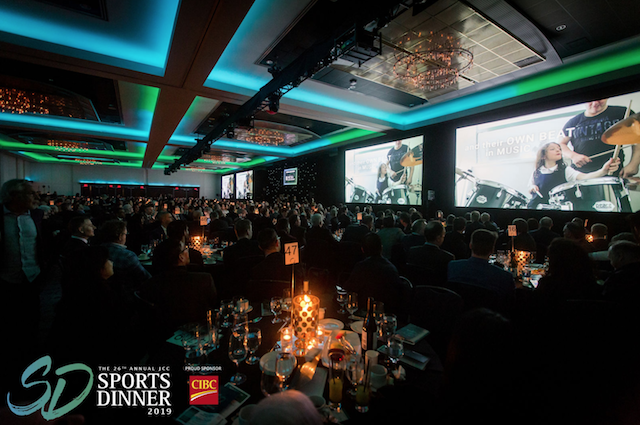 Spring has just started but some of Vancouver’s summer traditions are already drumming up some buzz, including the Honda Celebration of Light. Teams and dates have recently been announced for this season’s offshore fireworks competition. India’s first family of fireworks, their founder began in 1937 establishing a continued legacy of excellence. The Morani’s live and breath fireworks – and look forward to sharing this passion with locals and visitors alike. While the fireworks are the main attraction, you’ll want to make an afternoon and evening out of every event day by stopping by the Park Stage at Second Beach and Z Fest. 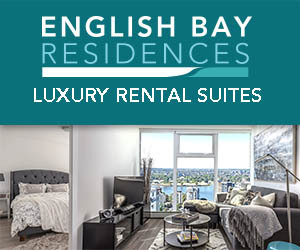 There will be three days of music featuring a diverse set of BC-based multi-cultural music and arts programming at Second Beach and Z Fest, on Bathhouse Roof at English Bay each night of the fireworks will feature: Vidya Vox, Khanvict, Scott Helman, Famba, Kardinal Offishall and Maestro Fresh Wes. 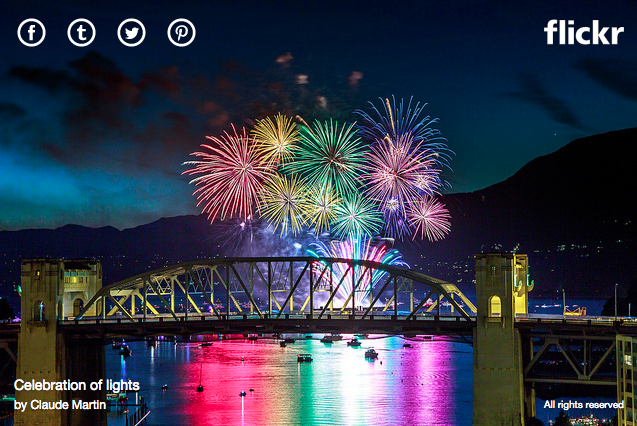 Follow the Honda Celebration of Light on Twitter, Facebook, and Instagram for more info leading up to one of the highlights of summer in Vancouver. Starting at 11:00am at the EasyPark parking lot at the corner of Cambie and West Georgia (688 Cambie St), White Spot will be handing out 300 of their Avocado Beyond Burgers today from their food truck. This 100%-plant-based Beyond Burger® patty is new to its menu and they want Vancouverites to give it a try. 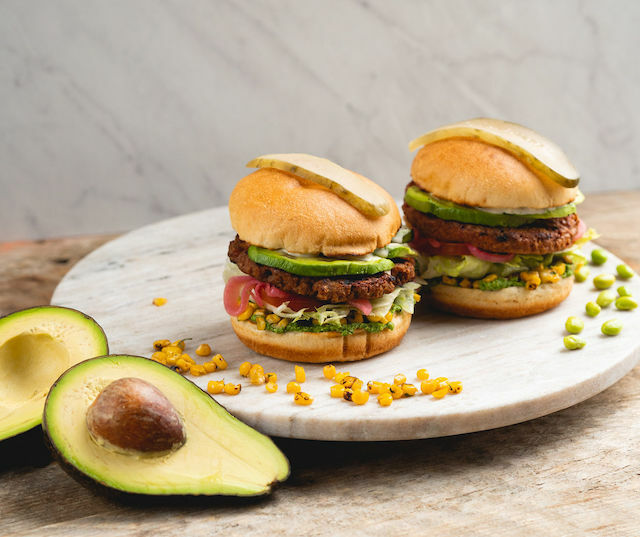 Available at all full-service White Spot restaurants in BC and Alberta beginning Monday, April 15, White Spot’s Avocado Beyond Burger features a hearty four-ounce chargrilled Beyond Burger patty, fresh avocado, pickled onions, roasted corn, crisp lettuce, vine-ripened tomatoes, jalapeño ranch and edamame hummus. The Avocado Beyond Burger is joined on the White Spot menu by the new Southwest Power Bowl, which features a Beyond Burger patty complemented by fresh avocado, cherry tomatoes, radish, roasted corn and cabbage and served with quinoa and jasmine rice with greens, jalapeño ranch and edamame hummus. Both the Avocado Beyond Burger and Southwest Power Bowl are available in a vegan-friendly format when ordered on a gluten-free bun and without jalapeño ranch. Guests can also substitute the Beyond Burger patty in any of White Spot’s signature burgers for $1.99, make it a lettuce wrap at no additional charge or substitute a gluten-free bun for only $1. Starting Monday, May 6, the Beyond Burger patty will also be added to the menu at White Spot’s quick-service brand Triple O’s in a new Beyond Original signature burger as well as a limited-edition Mushroom Avocado Beyond Burger™. Join the conversation about White Spot’s new Avocado Beyond Burger on social media by using the hashtag #beyondlegendary.